See also NCD Snake Rebel (PayPal $4 djnippa@hotmail.co by djnippa. Info: Created on 16th December 2008 . Last edited on 25th August 2010. My first Original font. Upper & Lower Case. Should be a Hot Pick. cool concept, well balanced, good spacing, very useable ... and some funny alternates. i would try some more alternates for s and z. 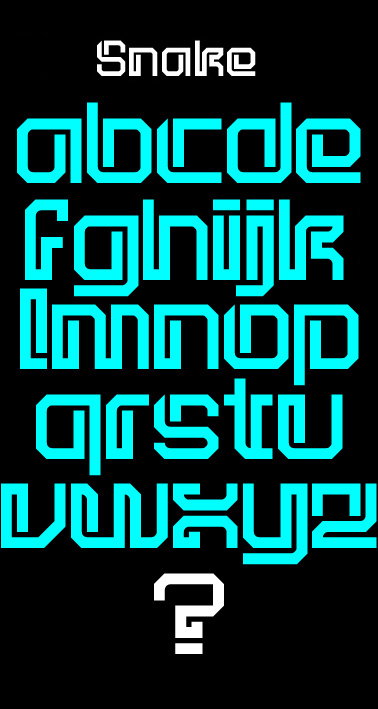 Great font, fresh and with the right amount of coolness! really a cool font.. looks balanced, even with the double-strokes. A Hot Pick. Wow, thanks everyone. Really appreciate the comments. It makes it all worth while. guentersen. Great comment. 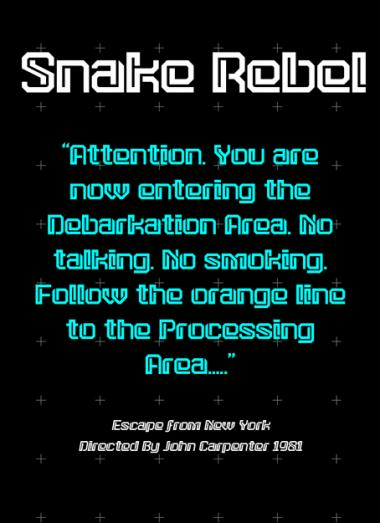 I've just designed a whole new version of Snake, called Snake Rebel. It breaks a lot more rules and has so many more variations of the "s" & "z" you mentioned. What does Strike! mean. I've never heard that before. 'Strike' means a big hit, or: impressing. Ha ha, that's good. I'm English. I didn't know whether it meant Strike as in Baseball, as in miss. Or Strike as in 'A bit off'. Didn't even think of the Bowling term. Doh!